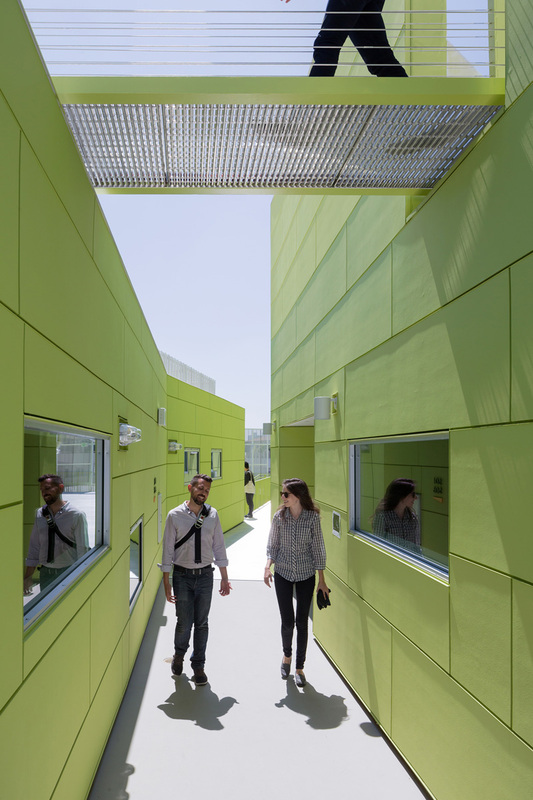 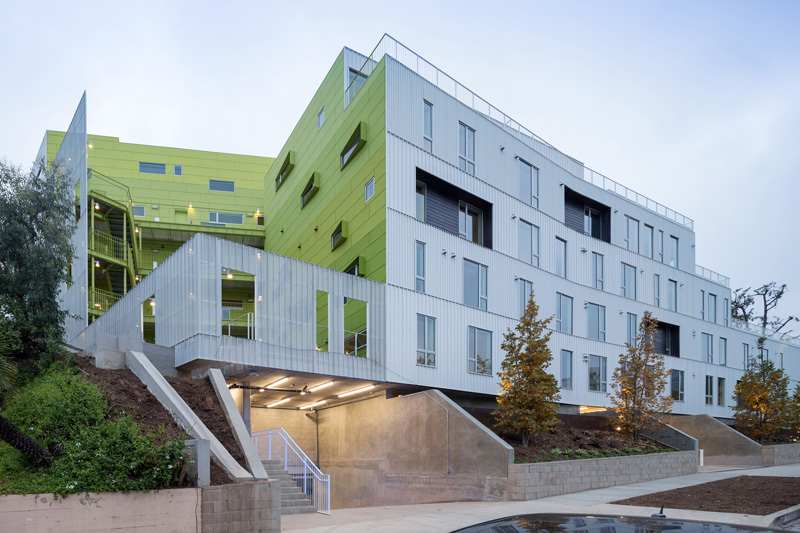 LOHA (Lorcan O’Herlihy Architects) have designed a student and faculty housing complex, located near UCLA, in Los Angeles, California. 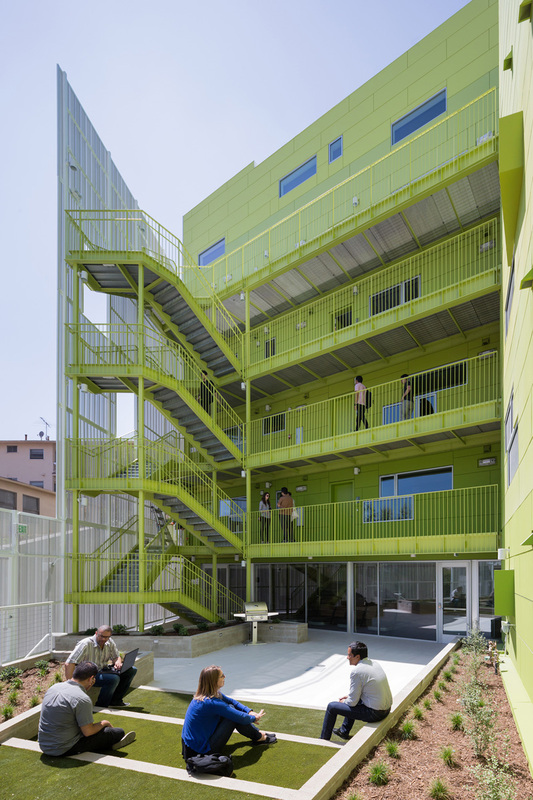 The entire complex is made up of 31 units, and various recreational amenities. 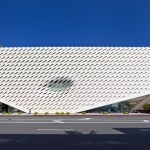 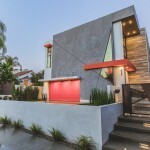 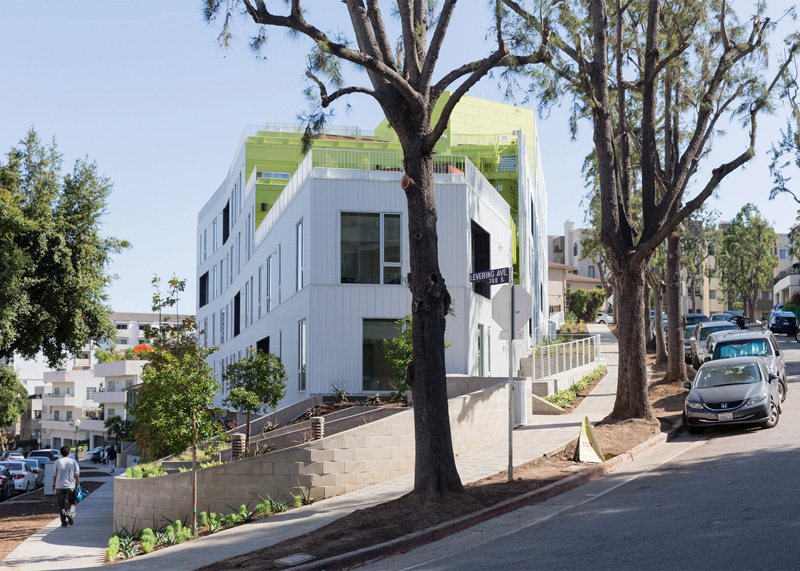 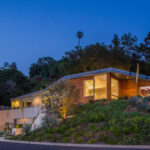 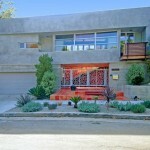 The building is located on a wedge-shaped hillside property, in the Westwood neighborhood of Los Angeles. 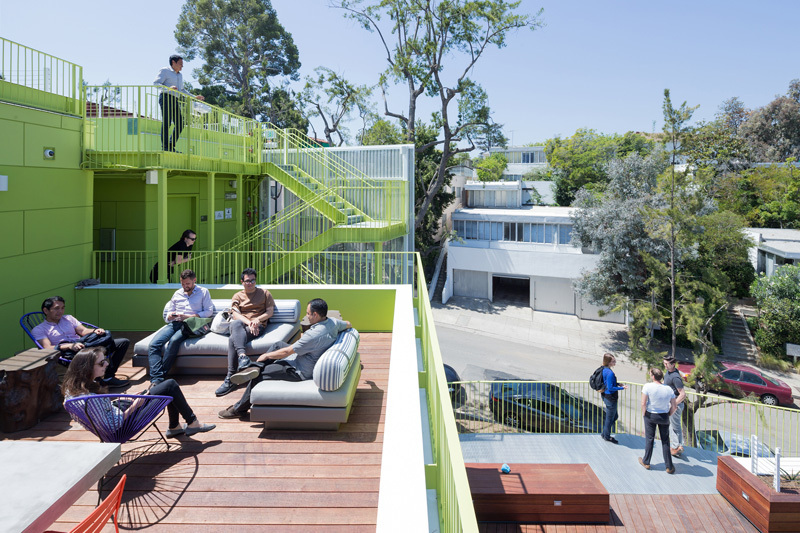 The multi-story complex includes a variety of outdoor spaces, including this one that has a barbecue space. 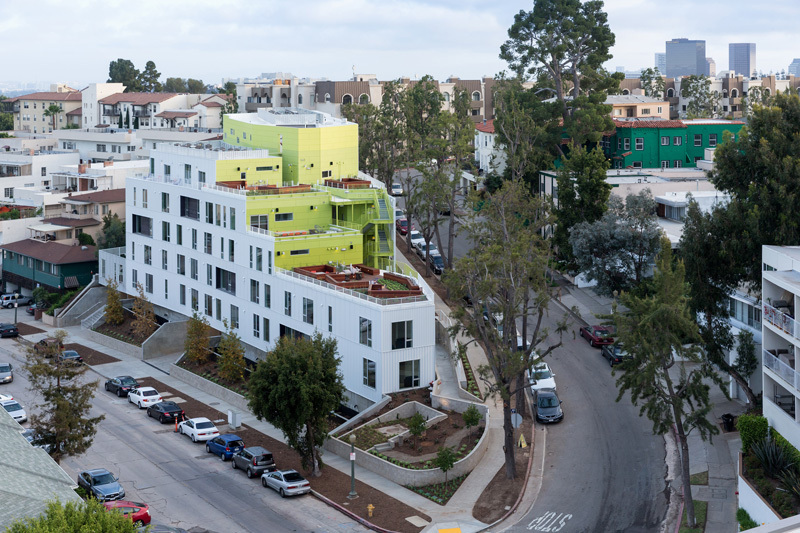 The building has been split into two volumes, to provide cross-ventilation for the apartments. 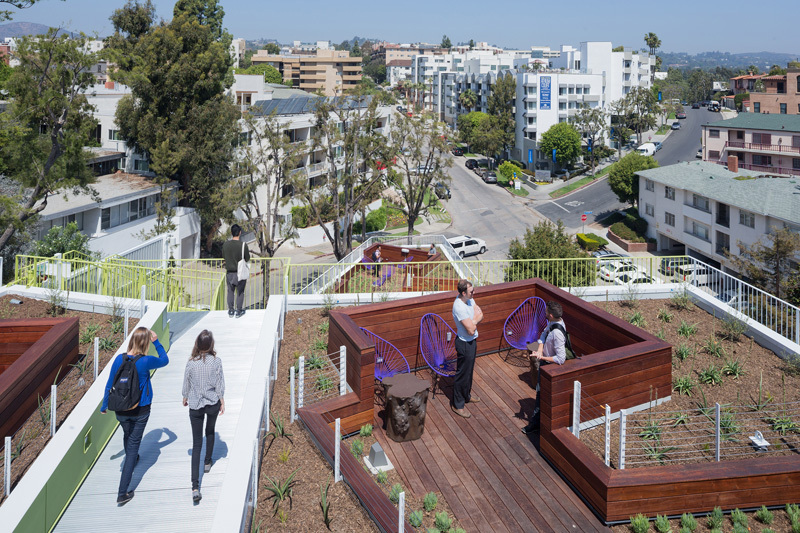 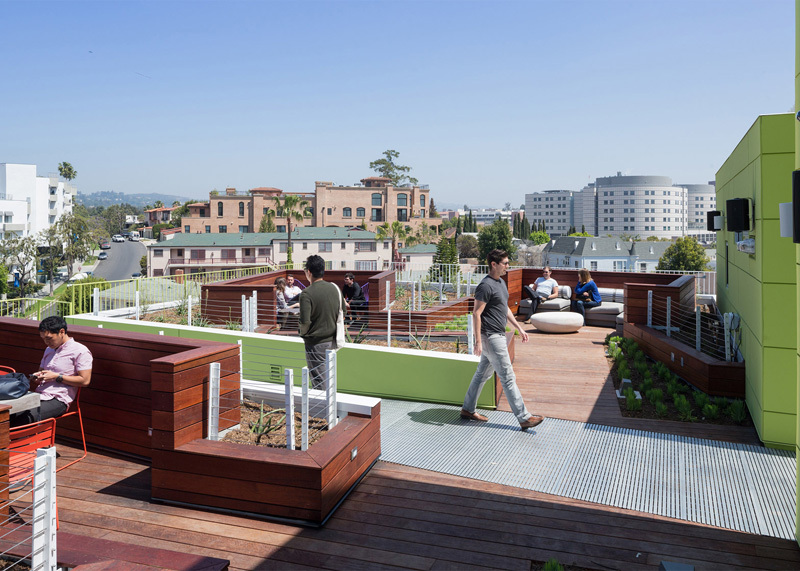 A multitude of social rooftop spaces can be enjoyed by the people living in the building. 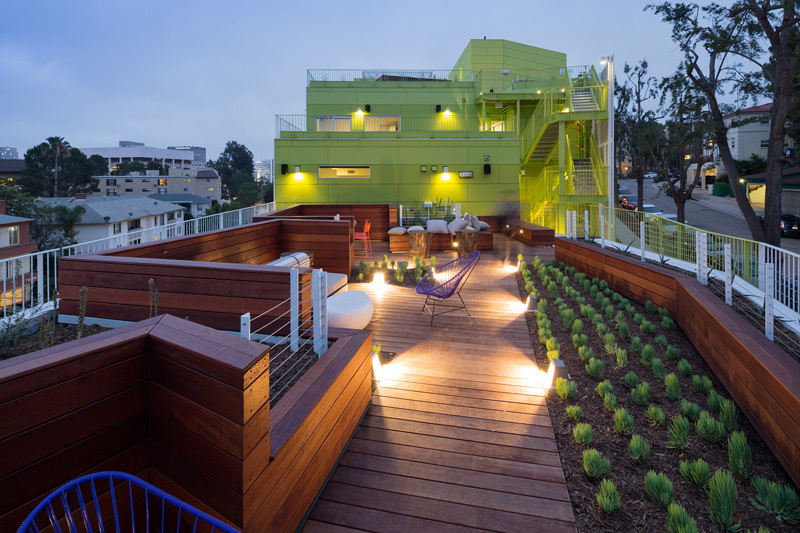 The rooftop spaces have gardens, as well as lighting for night time entertaining. 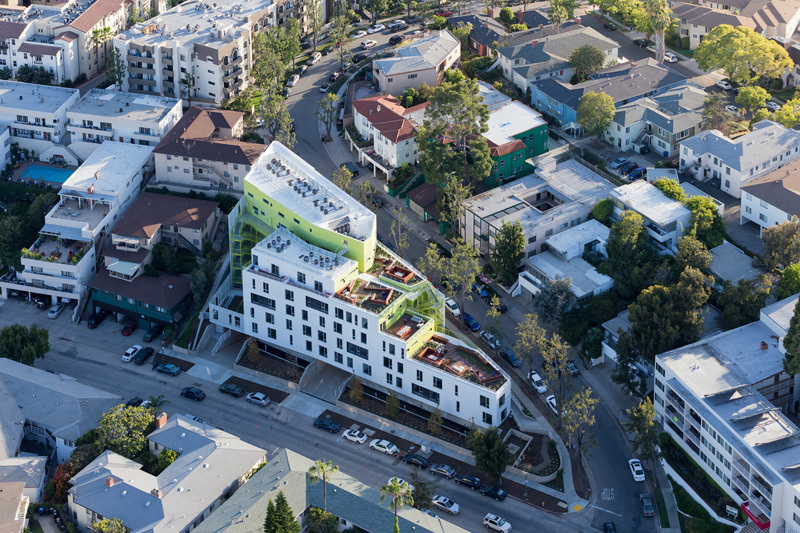 Here you can see an aerial view of the building, and the overall design on the wedge-shaped site.